The voice of her unborn child compells a pregnant woman to embark on a series of killings. Babies have long played a role in horror cinema, from the suspect infant growing inside Mia Farrow's tummy in Roman Polanski's Rosemary's Baby to the killer rugrats of Larry Cohen's It Alive franchise. 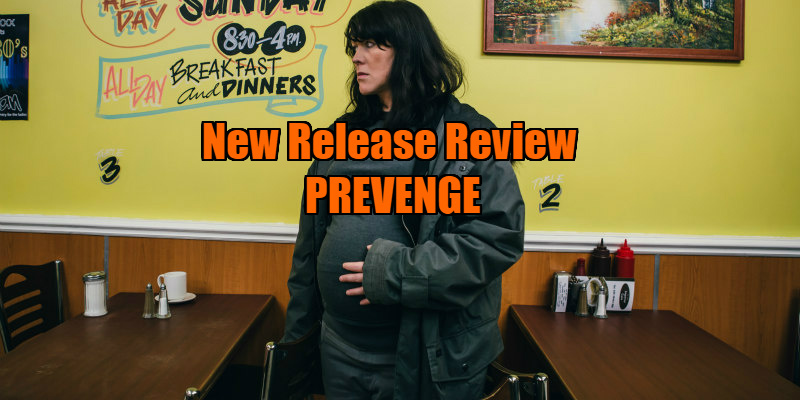 In British actress/writer Alice Lowe's directorial debut, Prevenge (don't ask me for that title's correct pronunciation), the nasty nipper hasn't even left the comfort of the womb, and it's already causing mayhem. Taking the lead role herself, Lowe is Ruth, a heavily pregnant single mother (Lowe was herself seven months pregnant at time of filming) who embarks on a series of executions of what at first appears to be a random collection of strangers. Ruth is simply following orders however, those of her unborn daughter, who in a voice that sounds like an even creepier Teletubby, instructs her to commit homicide. Ruth's first two victims - an exotic pet store owner who asks Ruth is she would like to 'touch his big snake', and a boorish pub DJ who lives with his geriatric mother - suggest she's on some sort of feminist quest to rid Britain of misogynist man-children. The film is most effective in these early sequences, as the unpleasantness of the men she massacres allows us to empathise with her actions, if not condone them. They also represent the film's funniest segments, thanks to the hilariously uncomfortable interactions between Lowe and actors Dan Renton Skinner and Tom Davis as the obnoxious targets of her rage. When Ruth goes after her third victim - a businesswoman played by Kate Dickie, whose only perceived 'crime' seems to be her prioritising of her career - Prevenge undergoes a drastic tonal shift that it never quite recovers from. It becomes apparent that Ruth's victims share a specific connection - their names are on a hit-list she keeps in a journal filled of gruesome sketches, like the schoolbook of a teenage goth - and the 'P' in the film's title becomes silent. As people who seem like perfectly decent citizens fall victim to Ruth's blade, we lose whatever empathy we might have originally had for her. The interactions between Ruth and her targets no longer play out as black comedy as the film shifts into a more straightforward horror movie, into a gear Lowe is nowhere near as comfortable in. While it opens in inspired fashion with some wicked dark humour, Prevenge progressively becomes a standard indie slasher, the sort of movie that are a dime a dozen at horror festivals, relying on the hook of a novel antagonist and a retro synth score to appease hungry genre fans. Lowe proves herself a comic talent here, but a gift for horror seems more elusive. 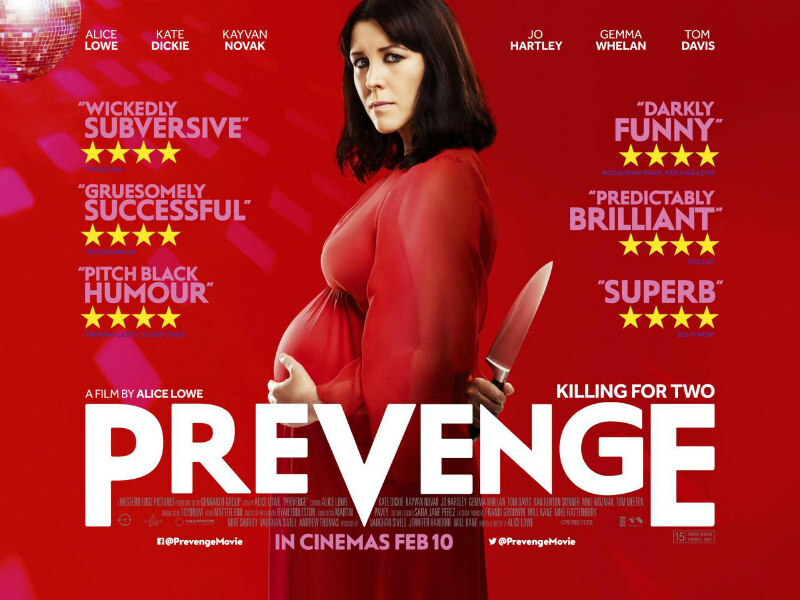 Prevenge is in UK/ROI cinemas February 10th.